Enjoy the refreshing taste of pineapple, peach, pear, and cherries, in 100% real fruit juice. Now you can easily enjoy more fruit and sunshine every day in a convenient bowl. 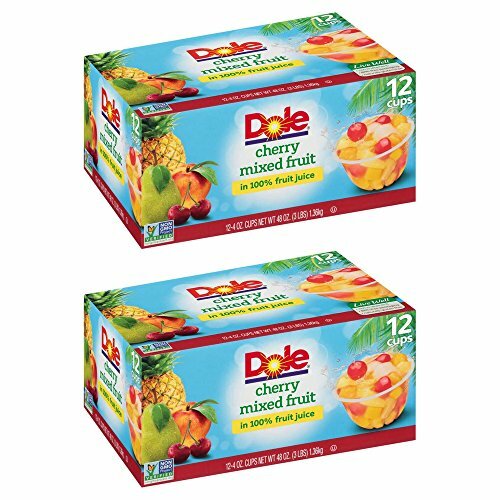 DOLE Cherry Mixed Fruit in 100% Fruit Juice is made from the best sun-ripened fruit nature has to offer, and is non GMO and naturally gluten free. This item comes in a 12-count pack.